May 6, 2006, I gave birth to a beautiful, healthy 6-pound baby boy. My first child and my husband's first son, this was the greatest day of our lives. Like all parents, we had so many hopes and dreams for him. Would he be a dentist like his dad, or pursue more of a medical career like his mom? Whatever career path he chose, all my husband and I ever wanted for him was true happiness like we had finally found in each other. We had both been married previously, and now both felt as if we had found our soulmates. My pregnancy was quite difficult, with a lot of nausea, vomiting, and migraines. I was hospitalized with these issues numerous times. But I made it to the last trimester. All prenatal testing and amniocentesis testing was completely normal, and we were so excited to welcome this precious boy into our little family. It was during my last trimester that an ultrasound showed that David had enlarged kidneys. Additional testing revealed no further abnormalities and the doctors did not seem concerned. The day he was born was the most magical day of our lives. Our beautiful son had arrived! I never knew that I could instantly love anything that much! We brought him home and began our lives with him. He met all milestones it seemed up until about 12- 15 months. He had started to talk, but it seemed to taper off at this point. He didn't walk really until after 20 months, but he was in a cast for removal of an extra toe on his right foot for six weeks when he was 13 months old. So we thought this had delayed him a bit. (Children with BBS often have polydactyly or extra digits. Hence the name of the Facebook page, "Hanging 11 with David!" "Hanging 10" by definition means to "go all out on a surfboard, typically with all ten toes hanging on the front edge of the surfboard." We thought this was appropriate since he loves surfing and he "goes all out" in everything he tries to do in life and gives it his all. Around age 2, we started hearing the word autism mentioned here and there- at the preschools, public places, whispers really. Some people thought we were in denial. But my husband and I are both medical providers and this just did not look like autism to us. We really felt that so many children were prematurely given an autism diagnosis and we wanted to be certain. Our pediatrician agreed that it was unclear if this was autism. We saw a pediatric neurologist in Greenville, North Carolina, that was also unsure. When David was around age 3, we went to a specialist at Duke who ruled out numerous genetic disorders. She then told us she wanted to rule out one last disorder. She felt certain that David did not have it, but she wanted to check. Well, as fate would have it, he did have this rare disorder called Bardet-Biedl Syndrome or BBS. This is a rare genetic disorder that affects only 1 in 250,000 people in the world! OUR child gets something this rare! I will never forget the day we received the diagnosis. Where the day of his birth was the best day of our lives, this was the worst. Hearing those details was like taking a knife in my heart. My husband literally had to carry me out of Duke Children's Hospital. The first thing the doctor said was that this syndrome had no cure and there was a 90% chance David would be blind by the time he was a teenager. As soon as she said that, it was like all of your hopes and dreams for your child's future are literally destroyed. Then she said there was a 50 % chance he would need a kidney transplant at some point. Well, these two statements were basically like when you hear a cancer diagnosis, and I could not hear anything else at that point. I just shut down. I remember thinking at that moment that I would rather just have the autism diagnosis! Not this! This doctor offered no hope- just sent us on our way! We returned home to try to return to some sort of normal life, although our lives would never be normal again. We felt very alone, as, at that time, Duke had only seen maybe one other person with this syndrome. We did attend a BBS conference that happened to be going on at Duke about two weeks after we received this diagnosis. There we spoke with a doctor and voiced our concerns about David losing his vision. He quickly told us that the vision loss would not be what could kill him, but the renal failure could! Here was yet another hit! We are ultimately very private people, and we just needed to digest all of this information. We only told a few close friends and family members about David's diagnosis because at that particular time we were so unsure of the future. Several years later while doing our own internet research, we found the Marshfield Clinic in Marshfield, Wisconsin. This is the ONLY comprehensive clinic in North America working with BBS! There we found a wonderful team of doctors and nurses working to find a cure and to help make life better for BBS patients. We now travel there every two years for a week of extensive medical appointments and to network with other BBS families from around the world. Finding this place truly changed our lives. What we have learned- BBS can affect any body system and can affect every child differently. Years ago, children did not get diagnosed until they started going blind. While we are very grateful that we finally received his diagnosis at age 3, we wish we could have received it sooner so we could have begun therapies and preventative treatments earlier. For example, David must be on a low sodium and protein restricted diet and has to avoid certain medications to protect his kidneys. He also has to drink a minimum of 2 liters of water daily. Some children are lucky enough to be diagnosed in utero. But we are so glad that we did not just accept the autism diagnosis and pushed onward. We just knew that there was more going on with him. Yes, David does have some autistic behaviors, but this can go along with this syndrome. For David, it has affected his speech center and causes more autistic behaviors. We still have doctors that do not agree as to whether David actually has autism or just the behaviors. 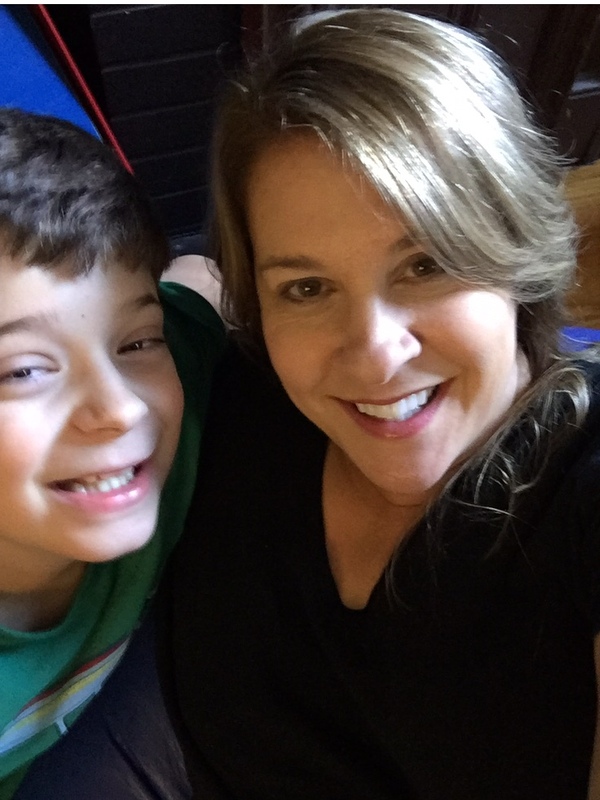 Frankly, as his parents, we do not care what diagnosis we have to put on paper if it helps our son get the therapies he needs to help him be the best he can be! Mainly, BBS affects vision and kidneys. It also affects weight, causing major weight gain in many patients leading to hypertension, diabetes, and kidney failure. For David, this syndrome does not seem to have affected these areas at this time and his vision, weight, and kidney function have remained stable. While his most recent testing at Duke still shows no retinal degeneration and normal renal function, his new genetic retina specialist did see a slight overall decline in his general retinal health. This was quite a shock to us as we had always been told his retinas were totally normal. While we are thankful for him maintaining his vision and we are hopeful for the future, we must remain realistic. We know that odds and time are against his vision. As you can imagine, this weighs heavy on our hearts and minds every single day. But we are just trying to make sure David sees as much in this world as he can while he can still see. He is a child that truly enjoys the simple pleasures in life. We even have what we call, "David's Bucket List." These are things we want to make sure he sees and experiences while he still has good vision. We surf, we jet ski, we swim, we go boating at the lake, we snow ski, and we ride horses- there is nothing that David cannot do! Of course, you know that his favorite site so far was Disney World! I think he would live there if he could! We have met many people who have been affected by BBS in so many different ways. Many with BBS go on to attend college and lead very normal lives. Others are affected more severely. We have SO much hope for David and what the future holds for him and BBS research. He continues with his therapies and has made remarkable progress over the years. We are so proud of all that he has and continues to accomplish. He is a happy, loving, and giving little boy that truly enjoys life. He has made us better people. He has taught us patience and humility. We are so lucky and thankful that God chose us to be his parents. We are so proud to call him OUR son! He is our greatest gift and our greatest joy! If our family had a theme song, it would most certainly be Tim McGraw's, "Live Like You Were Dying!" We try to make the most out of EVERY day!! !